Hey, how about trying a post-workout supplement from the UK for a change? You may have heard of several big-name products, but we promise you, Amix Nutrition Re-Cuper is worth a shot. If 6.25 grams of glutamine per serving 18.5 grams of protein don’t mean anything to you, nothing will. Get ready for another awesome review. Great ingredient combo. WPI, whey protein hydrolysate, glutamine, BCAAs, phosphate salts, Carnosyn, l-glycine, and l-citrulline malate. 6.25 grams of glutamine per serving. Most we’ve seen in a post-workout supplement. Bonus ingredients. Rich source of Vitamin C, Vitamin B6, and phosphorus. Recommended dosage: Mix 1 scoop (25 g) with 200-300 ml of water and drink immediately after physical performance. To change the flavor and sweetness of drink change the amount of water used for preparation. If you haven’t tried bodybuilding supplements from the United Kingdom, you’re missing out – big time. We feel they’re one of the best fitness products around. Seriously. Try checking out the likes of MyProtein Hurricane XS and Grenade Hydra 6. We think they’re worthy additions to your supplement stack – a bit of international flavor, if you will. It would be interesting to find out if Amix Nutrition Re-Cuper can earn that distinction. Amix Nutrition is one of the lesser-known bodybuilding supplement manufacturers from the United Kingdom. Perhaps it can gain some traction with its post-workout supplement. Try taking a hint from the name, folks: “Re-Cuper” stands for “recuperate,” which is what you want to happen after a hard workout. An all-out effort at the gym requires a potent post-workout supplement such as Amix Nutrition Re-Cuper. The manufacturer’s official website isn’t as fancy as its competitors. When it describes Amix Nutrition Re-Cuper, it cuts right to the chase. “High-concentrated supplement especially designed for using after sport activity” with “no fillers and loaders,” per the webpage. “Re-Cuper is based on high-quality CFM whey protein isolate and whey protein hydrolysate with addition of high-dosed amino acids l-glutamine and BCAA (instantized form),” per the same source. First impression: this post-workout is teeming with muscle growth potential. We like that. If a post-workout – or any supplement for that matter – goes above and beyond the call of duty, it’s worth buying. The key here is long-term health. That bodes well for you as the consumer. First off, this product claims it has 18.5 grams of protein per serving. Like the manufacturer said, two of the pillars of Amix Nutrition Re-Cuper are whey protein isolate (WPI) and whey protein hydrolysate. WPI is at least 90 percent protein because it undergoes a microfiltration process which strips off the excess fats and carbs (unfortunately, the process does away with some of the immune-boosting immunoglobulins as well). Your system absorbs whey protein isolate faster than whey protein concentrate (also known as WPC and is 80-85 percent protein at most). The knock against WPC is its bitter taste and more expensive price. Well, if you think WPC is pricey, wait until you get a load of whey protein hydrolysate. This form of protein undergoes further processing to decrease the size of the molecules and turn them into peptides. Hey, that’s what your muscles need after training – the faster they absorb the amino acids, the better. Alas, whey protein hydrolysate is the most expensive form of whey on the market. Nonetheless, its superior absorption prowess helps offset that. Now, if you think Jacked Factory POWERBUILD’s five grams of l-glutamine per serving blew you away, brace yourself. That’s because Amix Nutrition Re-Cuper has an astonishing 6.25 grams of glutamine per scoop. It’s one of the most – if not the most – we’ve seen in a post-workout supplement. We promise you, you will reap the full benefits of glutamine when you consume Amix Nutrition Re-Cuper. Next up is this product’s BCAA Instantized 2:1:1 Blend which takes up 6.25 grams per serving. That much translates to an estimated three grams of leucine, 1.5 grams of isoleucine, and 1.5 grams of valine per serving. Three grams of leucine per scoop is right on the industry average (although some, such as the aforementioned Jacked Factory POWERBUILD, have four grams per serving). That means Amix Nutrition Re-Cuper will help boost your post-workout protein synthesis for more muscle growth. Unknown to many, leucine also helps preserve muscle and boost fat loss by triggering the release of an appetite-suppressing hormone from the hypothalamus in the brain. The 1.5 grams each of isoleucine and valine will go a long way, too. The former helps restore a positive nitrogen and protein balance. For its part, the latter helps increase endurance, repair muscle tissue, and regulate the immune system. Unfortunately, Amix Nutrition Re-Cuper’s BCAA Instantized 2:1:1 Blend is proprietary. A proprietary blend is when the manufacturer comes up with a fancy name for a blend, indicates the total amount, but doesn’t break down the amounts of the individual ingredients. It’s deceiving and it shortchanges the consumer. Need proof it’s proprietary? We had to figure out the amounts of leucine, isoleucine, and valine ourselves. 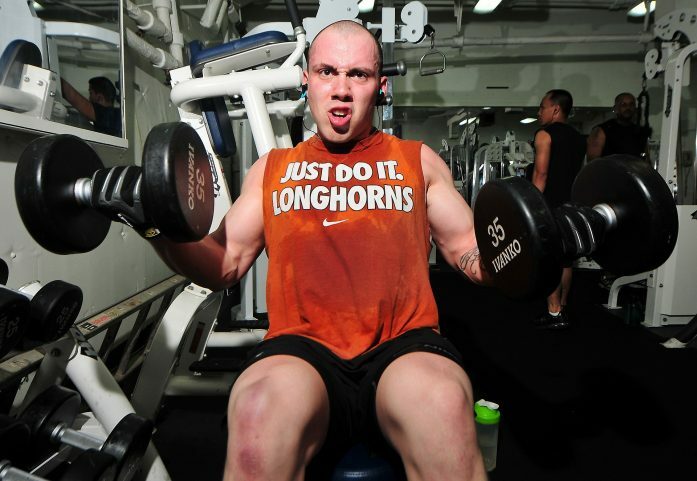 You don’t want to do that when you size up a supplement, do you? The bad news: this product has another proprietary blend. Ugh. Amix Nutrition’s Amix PhosphoMatrix takes up 887 milligrams per serving. On to the good news: it’s one of the rare post-workouts which have di-calcium phosphate, di-potassium phosphate, and di-sodium phosphate. Long story short, folks: these are phosphate salts which help improve exercise performance. You see, when you do vigorous exercise, your electrolyte levels diminish. You need to replenish during the crucial, half-hour post-workout window. That’s where phosphate salts come in. We believe this product’s Amix PhosphoMatrix (with the exception of di-calcium phosphate, which has no proven exercise benefits) will help boost your recovery, increase your energy levels, and prepare you for your next workout. Amix Nutrition Re-Cuper also has 500 milligrams of beta-alanine (Carnosyn) per serving. Carynosyn is a patented and sustained-release form of beta-alanine. “Supplementing the body’s beta-alanine stores increased muscle buffering capacity and resulted in greater physical working capacity, increased endurance, and delayed fatigue,” per Carnosyn.com. Wonder no more why it’s is a post-workout staple folks. Aren’t you glad Carnosyn – a superior form at that – is in Amix Nutrition Re-Cuper? On the other hand, this supplement’s 500 grams of l-glycine per serving. It’s great Amix Nutrition Re-Cuper has glycine, another ingredient which will help you achieve your post-workout goals. Finally, this product has 500 milligrams of l-citrulline malate per serving. If you thought beta-alanine and l-glycine are the only ones which help delay the onset of post-exercise fatigue, think again. L-citrulline malate is an amino acid compound which is known for this benefit. When you exercise, your body produces lactic acid. The more lactic acid your body has, the higher the acidity in your muscle cells – the burning sensation you feel after training is the manifestation. L-citrulline malate helps convert the excess lactic acid into energy and ward off post-workout muscle soreness. Energy value/Valor energetico, 91.8 kcal/388.9 kJ: The United Kingdom uses a standard of measurement for energy known as kilojoule (which is under the metric system). It refers to the amount of energy expended during exercise. That means you expend 388.9 kilojoules when you exercise and consume Amix Nutrition Re-Cuper. Total fat/Total Grasa, 1 g: At just one gram per serving, this product is not a significant source of fats. Saturated fat/Grasa saturada, 0.35 g: Neither is it a significant source of saturated fats at just 0.35 grams per serving. Total carbohydrates/Total carbohidratos, 2.2 g: Amix Nutrition Re-Cuper helps complement a low-carb diet because of its low carbohydrate content. Sugars/Azucares, 0.25 g: The good news: Amix Nutrition Re-Cuper is low in sugars at just 0.25 grams per serving. The bad news: it has sucralose (a.k.a. Splenda), an artificial sweetener which has been linked to obesity. Boo. Protein/Proteina (dry basis/base seca), 18.5 g: Just know that a majority of post-workout supplements have no protein content whatsoever. This much per serving is considered a luxury. We believe the WPI and whey hydrolysate content play a major role in your muscle-building aspirations. Salt/sal, 2 g: Based on our computation, Amix Nutrition Re-Cuper has eight percent of the daily value for sodium, which is neither high nor low. However, if you are monitoring your sodium intake, try purchasing a product which has five percent of the daily value or less. Vitamin C/Vitamina C, 20 mg: Hey, if you need an ascorbic acid fix, Amix Nutrition Re-Cuper is a good option at 25 percent of the daily value (anything more than 15 percent is considered high). When you take this product, your body will be able to ward off the common cold with ease. Perfect. Vitamin B6, Vitamina B6, 35 mg: This supplement offers a whopping 250 percent of the daily value for pyridoxine hydrochloride, more commonly known as Vitamin B6. This ingredient helps boost the cardiovascular, nervous, and immune systems. Calcium/Calcio, 75 mg: Amix Nutrition Re-Cuper is a decent – not outstanding – source of calcium at 9.4 percent of the daily value. Phosphorus/Fosforo, 180 mg: This supplement has your calcium needs covered at more than 25 percent of the daily value. Phosphorous helps maintain healthy bones and teeth, ward off muscle weakness and fatigue, increase energy flow, utilize protein in the body, and boost digestive health – all important post-workout benefits. Sodium/Sodio: 62.5 mg: If you’re a keen observer, you should have noticed the manufacturer already divulged the amount of salt. This begs us to ask: why does it indicate a separate amount for sodium? Confusing. L-glutamine, 6.25 g: Wow. This product is teeming with glutamine. We’re confident you will enjoy better muscle preservation, increased, human growth hormone levels, and a supercharged digestive system, among other things. Beta-alanine, 500 mg: The more beta-alanine your body has, the higher the carnosine levels. When this happens, expect an increase in your exercise work capacity and endurance. L-glycine, 500 mg: A post-workout Jack of all trades which assists in muscle growth, endurance, and joint health. Two thumbs up. L-citrulline malate, 500 mg: Another post-workout staple which helps delay the onset of post-workout fatigue. L-leucine: The most anabolic amino acid which helps kickstart muscle protein synthesis for more muscle growth. L-Isoleucine: The BCAA which helps tilt the nitrogen and protein balance in your favor which results in muscle hypertrophy. L-Valine: The BCAA which helps repair muscle tissue, regulate the immune system, and increase endurance. Di-calcium phosphate: A phosphate salt which is, ironically, not a significant source of calcium. In fact, we consider this obsolete because it has no important post-workout benefits. Di-potassium phosphate: Also known as phosphoric acid, this ingredient helps increase endurance, shorten recovery time, and increase oxygen delivery to the muscles for optimum performance. Di-sodium phosphate: A phosphate salt which helps improve exercise performance and increase endurance. Like we said, Amix Nutrition is an unheralded bodybuilding manufacturer from the United Kingdom. If its post-workout product makes waves, it can gain some serious traction overseas. Based on what we’ve seen, Amix Nutrition Re-Cuper is a promising and solid pre-workout with a few flaws. We like the 18.5 grams of whey protein isolate and whey hydrolysate per serving. Most post-workouts don’t have protein, so this is a major plus. However, the selling point which blew us away is the 6.25 grams of glutamine per serving. No other post-workout has this much glutamine, a versatile amino acid which gives you plenty of benefits. The three grams or so of leucine per serving is nice, and so are the 1.5 grams each of isoleucine and valine per scoop. A post-workout won’t be complete without branch-chained amino acids because of their role in protein synthesis, muscle repair, and endurance. We’re glad they’re in Amix Nutrition Re-Cuper. This product’s Amix PhosphoMatrix distinguishes itself from the rest of the pack. It just goes to show you it wants to have a unique identity. Non-conformity. We like that. That’s how you grab the attention of the consumer. Plus, these phosphate salts will help increase your endurance and improve exercise performance. Amix Nutrition Re-Cuper’s beta-alanine, l-glycine, and l-citrulline malate components are nice finishing touches. They guarantee top-notch post-workout results. We also tip our hats off to the company for using curcumin as coloring for the vanilla-yogurt and lemon-lime flavors. Just so you know, curcumin is the most active component of turmeric, a culinary spice renowned for its anti-inflammatory benefits. With all the manufacturers using nasty artificial food colorings such as FD&C Red No. 40, this is a welcome change. We hope this continues. We are also raving about the bonus ingredients such as Vitamin C, Vitamin B6 and phosphorus. Any time your post-workout benefits your long-term health, it’s worth it. On the other hand, we don’t like the inclusion of sucralose, also known as Splenda. Even if this product is low in sugar, this artificial sweetener should not have been included in the first place. It has been linked to obesity and other side effects. Thumbs down. Oh, and the manufacturer’s transparency? Not good. The two proprietary blends serve as hard evidence. The company should have revealed the individual ingredient amounts. Don’t forget the manufacturer’s mention of sodium and salt twice in the ingredients list. It’s comical, to say the least. Lastly, Amix Nutrition Re-Cuper doesn’t come cheap – one 550-gram (1.21-lb.) container costs approximately $51.03 and lasts you just three weeks or so. We agree with all of these benefits. Amix Nutrition is an emerging player in the bodybuilding supplement industry. You will benefit from its signature post-workout supplement. 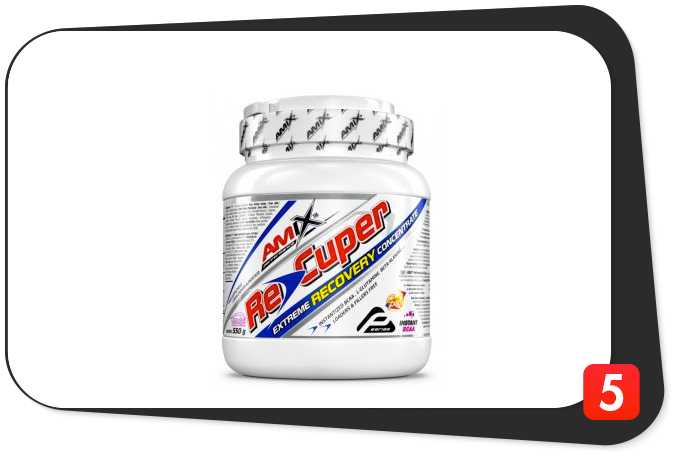 Amix Nutrition Re-Cuper is intended for healthy and active individuals who are at least 18 years of age who want to build muscle mass, increase endurance, shorten recovery time, improve their long-term health, and achieve their daily fitness goals. We are happy to report Amix Nutrition Re-Cuper has no glaring side effects. However, please note this product has sucralose or Splenda, an artificial sweetener which has been linked to obesity and the like. If this or any other ingredient makes you feel doubtful, please consult your physician before purchasing. In addition, those who are allergic to eggs, gluten, shellfish, tree nuts, and peanuts should steer clear of this product. Great ingredient combo. WPI, whey hydrolysate, glutamine, BCAAs, phosphate salts, beta-alanine, l-glycine, and l-citrulline malate. 18.5 grams of protein per serving. High for a post-workout. 6.25 grams of glutamine per serving. Highest we’ve seen for a post-workout supplement. Awesome. Amix PhosphoMatrix. Phosphate salt blend which helps increase endurance and improve performance. Bonus ingredients. Teeming with Vitamin C, Vitamin B6, and phosphorus for better long-term health. Low in fats, carbs, and sugars. Says it all right there. Has curcumin. Most active component of turmeric. Mediocre transparency. Has two proprietary blends and some confusing information. Has sucralose. Also known as Splenda, an artificial sweetener linked to several side effects. Expensive. $51.03 for a 550-gram (1.21-lb.) container. Unknown reputation. Not that popular – yet. Do you want to recuperate the Amix Nutrition way? Yes, we think you should. The ingredient combo and protein content are solid. Plus, you can’t find this much glutamine in a post-workout anywhere else. Throw in ingredients such as phosphate salts, Vitamin C, Vitamin B6, and phosphorus, and you’ve got the makings of a post-workout superstar. It’s not perfect (proprietary blends, dirty ingredient, and expensive price), but the positive still outweigh the negatives. Give it a shot and reap the benefits today.